Fishing has been an important part of Hirsel Estate life since 1743 when the Eighth Earl of Home caught a 69lb salmon (on a 22ft rod and a horse hair line) and whose dog (who was nearly as notorious) would catch and land fish at his Master’s feet. 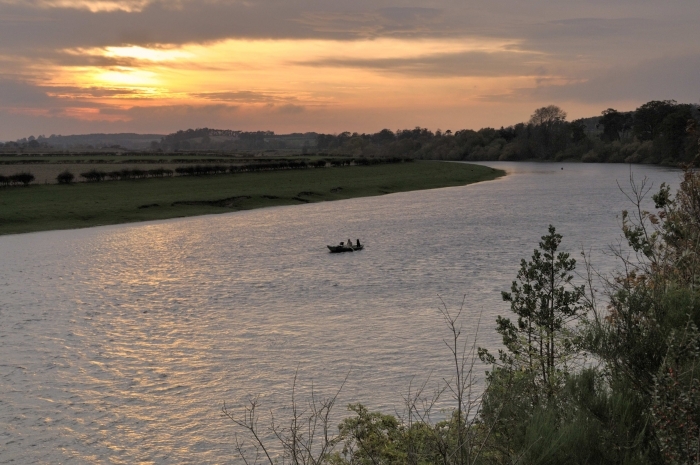 A hundred years later the Lord Home of the day caught an average of 14 salmon a day (to his own rod) for 6 consecutive days in June, and almost 100 years after that Sir Alec Douglas-Home, with two others, caught 64 fresh salmon in one February day. Over the last 250 years the fortunes of Tweed have been cause of constant speculation, but today Birgham Dub continues to provide excellent salmon fishing and in 2010 achieved its best catch (707 salmon) for over 20 years. So fishing really is still as important to us today as it was to 8th Earl of Home - nearly 270 years ago! 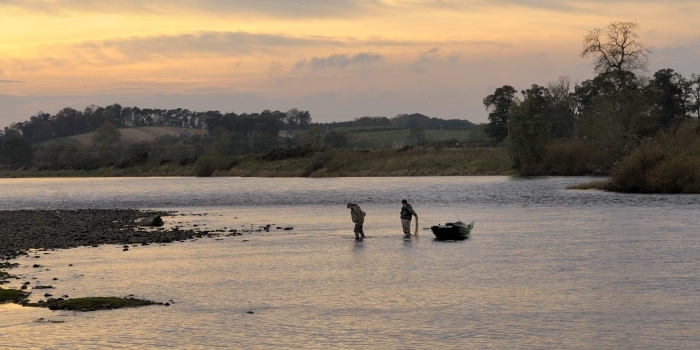 Birgham Dub is situated on the Lower Tweed, between Kelso and Coldstream. With a 5 year average of 297 salmon, throughout the autumn the average number of fish caught is between 15 - 20 salmon a week. 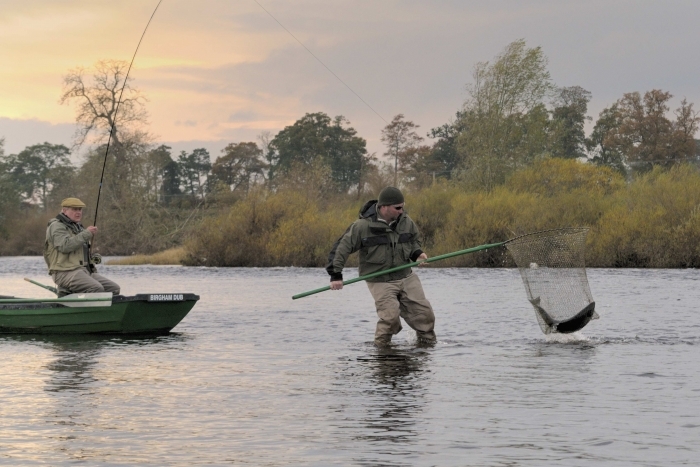 Fishing is let in blocks of 3 or 6 days throughout the year, with “first refusal” usually given to those people who have taken fishing the previous year. However, during the last week of August, the Estate donates a number of days to various associated charities (Tweed Foundation, Atlantic Salmon Trust, Heather Trust and other similar organisations) providing others with an opportunity to fish on “the Dub”. 2 full time Boatmen ~ throughout the season. Excellent fishing hut and facilities.